Vanity Tops. Clean. Comfortable. Sleek. Bathrooms are tricky. That’s what makes them so interesting to work with. Small spaces… moving parts… nooks & crannies – all can be a challenge. 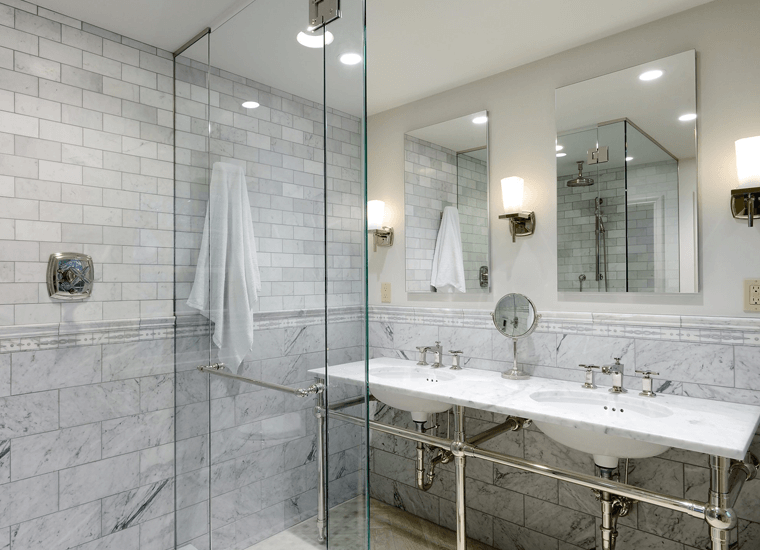 What bathroom renovation makes the greatest impact? 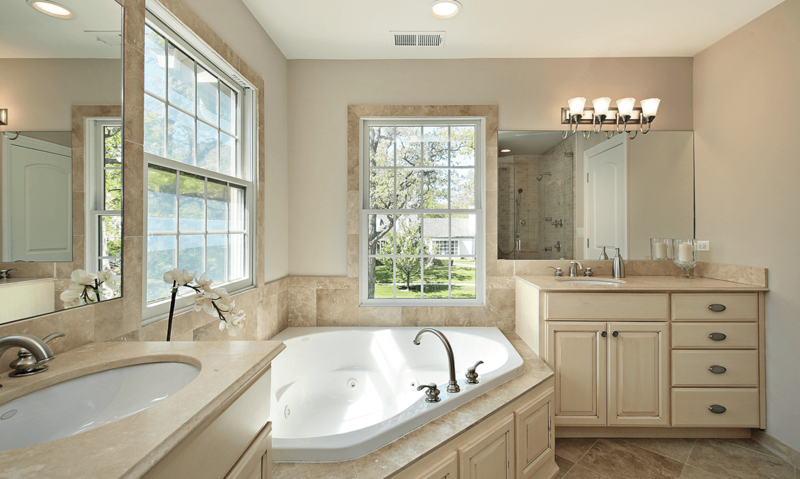 Replace your vanity tops and enjoy years of satisfaction and return. Appreciate your bathroom. Turn it into a comfortable retreat. Call SCI and visit our facility in Shawnee, KS. Renovate today. Get Started! 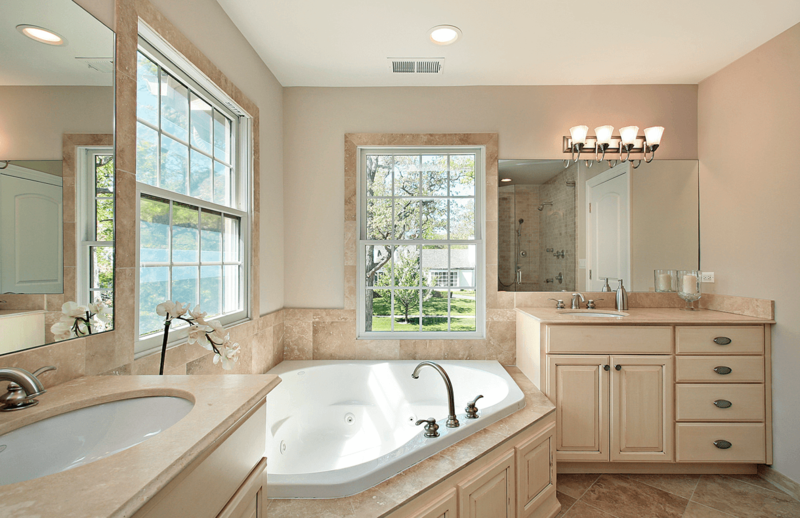 Make a bathroom look new with renovated vanity tops. From an aesthetic point of view, few objects stand out more than a brand new vanity top. It creates an immediate impact and adds good value instantly. 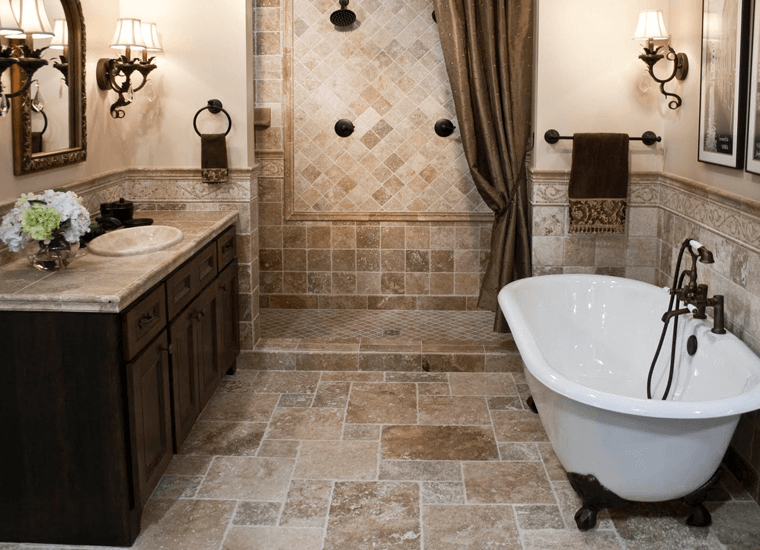 Our custom countertop shop in Shawnee, KS offers a variety of bathroom remodeling solutions. Choose from granite, quartz, quartzite, marble and solid surface. 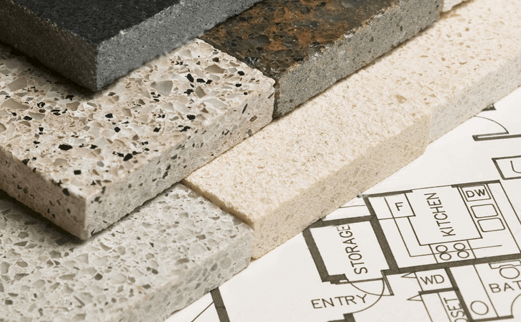 Each countertop material has advantages & disadvantages. Some surface material is stronger & more resilient than others. Some even require less care & maintenance. All of them are beautiful & elegant and would look great as your bathroom vanity top. The right sink can make your vanity top “pop”. Never let the choice of one product compromise the choice of the other. The right color choice, however, can make a difference. Let an SCI designer help you pull your project together in material & color. 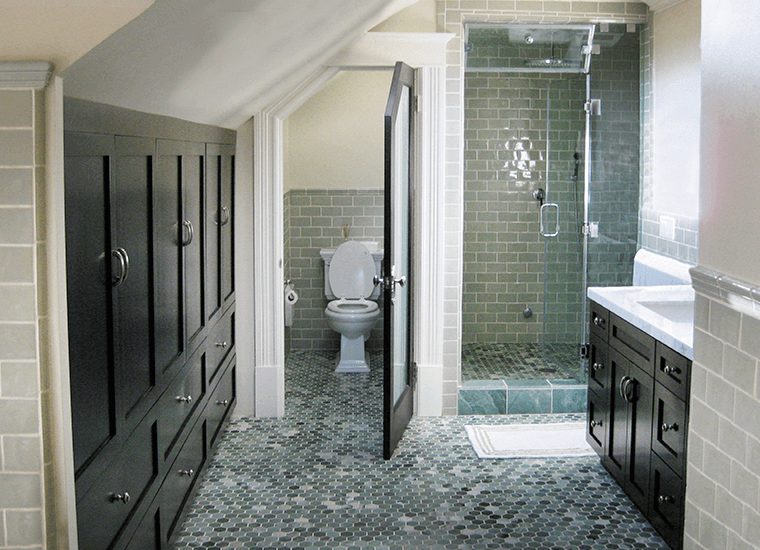 Trendy design ideas that get home owners thinking about bathroom renovations. Come visit our facility and see our beautiful showroom located in Shawnee, KS. Talk to a designer about your renovation or remodeling ideas. Let us help you be a part of your dream house. 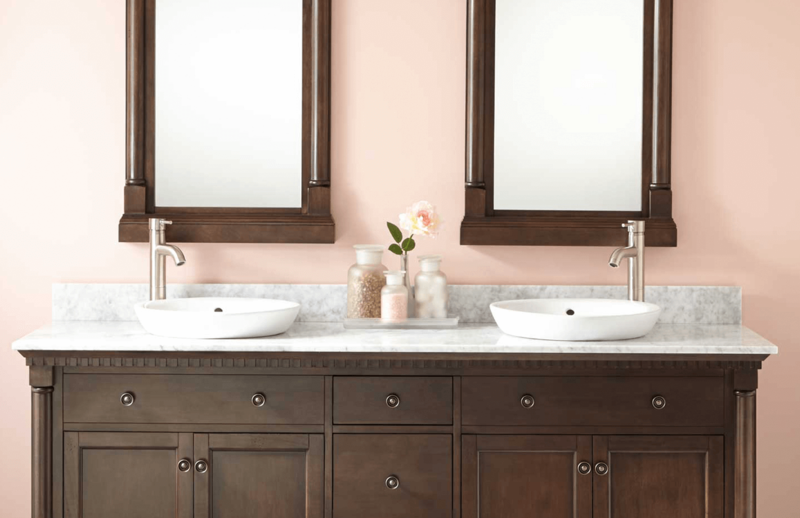 Make a bathroom look new by replacing the vanity tops. Choose from: granite, quartz, quartzite, marble or solid surface and change everything about your bathroom. You’ll appreciate your new retreat. 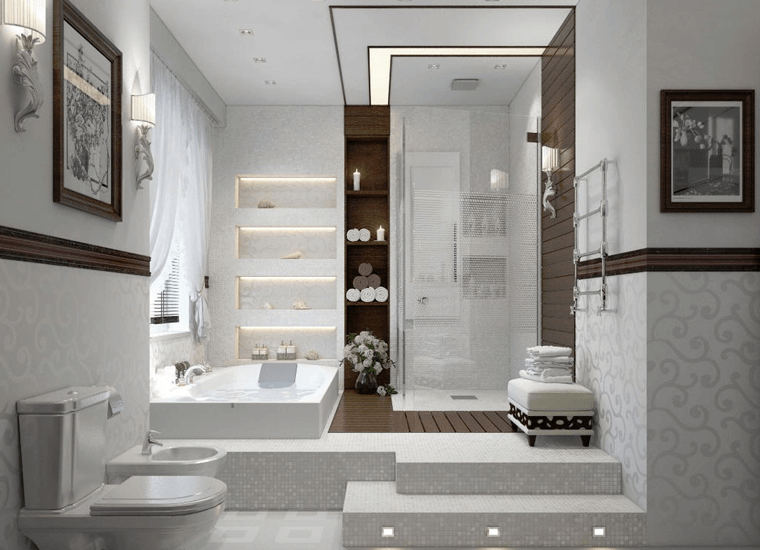 Compliment your your bathroom by adding a tub deck around your tub. Choose: granite, quartz, quartzite, marble or solid surface. Plus, tub decks offer the perfect elegant ledge bath needs. Certainly a shower seat is a great place to rest and relax but it’s also a great place to support your legs while shaving and or washing. Use granite, quartz, quartzite, marble or solid surface for your shower seat. Add value in more ways than one! Enhance the look, feel and functionality of your house and reward yourself with years of pleasure and comfort. Appreciate your bathroom as your new bathroom retreat. Let’s get started. Certainly a shower seat is a great place to rest and relax but it’s also a great place to support your legs while shaving and or washing. 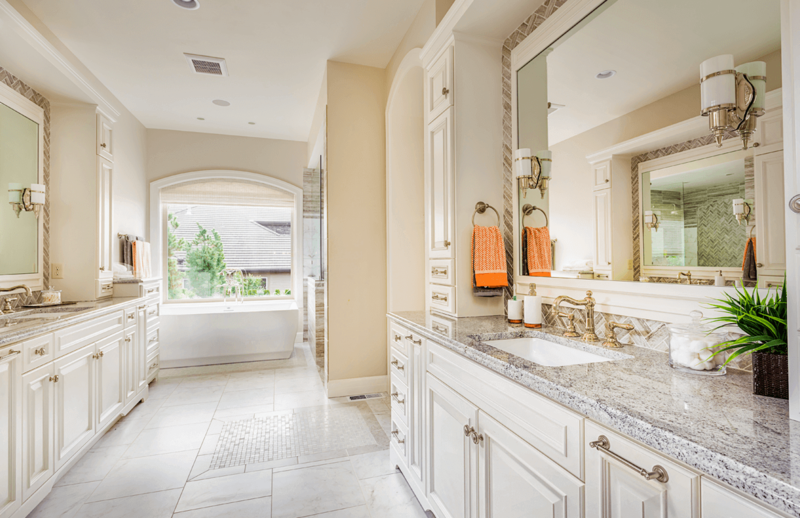 Use granite or quartz for strength & beauty and match the overall look of your bathroom. Tub decks offer the perfect elegant ledge for bath needs like soap and shampoo. It’s easy to clean and easy to maintain.